Robert Bernesby poses with his oversized check after claiming a $1,000,000 top prize in the FLORIDA 20X THE CASH Scratch-Off game. 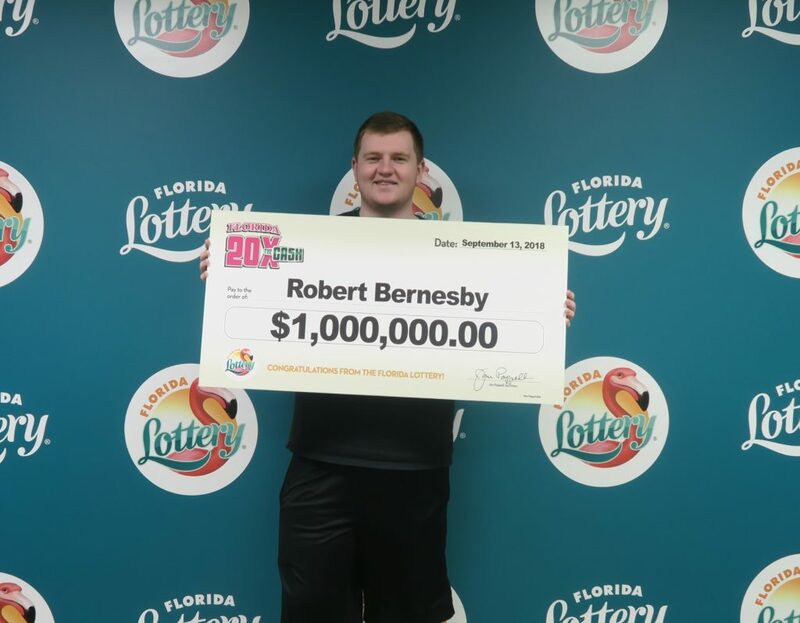 The Florida Lottery announces that Robert Bernesby, 20, of Winter Garden, claimed a $1 million top prize in the FLORIDA 20X THE CASH Scratch-Off game at Florida Lottery Headquarters in Tallahassee. He chose to receive his winnings as a one-time, lump-sum payment of $770,000.00.